← The Wolf of Wall Street, What’s the Hype? I am still getting used to posting on here more often. So I apologize that this review is for a book I finished a month ago. I’m working on getting my act together, I promise!! 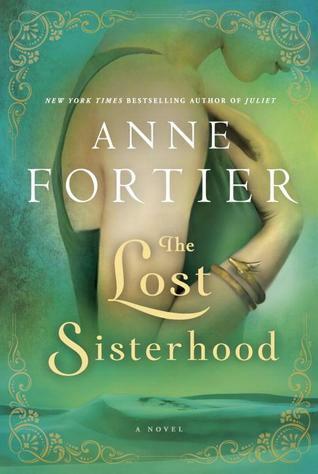 Normally reading a book as lengthy as The Lost Sisterhood is difficult with my busy schedule, but this book hooked me in. I’ve seen various other reviews of the novel comparing it to a Dan Brown thriller but with a female protagonist, and although I can see the connection I don’t think that’s necessarily a bad thing. In The Lost Sisterhood, Diana Morgan is a young academic at Oxford with an obsession of the Amazons from Greek mythology. For those of you who don’t know the tale of the Amazons they were said to be a nation of female warriors. One of their more notable battles was on the side of Troy against the Greeks in the Trojan War. These Amazons would procreate with men from foreign tribes and keep the resulting female children in their all female nation. The male children were sent away. Morgan’s research focuses on the Amazons although many academics ridicule her as they believe the Amazons to be fiction. I don’t want to spoil too much, so I will leave it at a story that mixes the stories of the Amazons with the story of Diana Morgan hunting down their story. When I read, I read to get lost in the world of the book I am reading. Although the voice of the author and characters is a big part of being able to get lost in the plot, I am not overly critical of the quality of writing. That being said, I thoroughly enjoyed the story. The writing allows the reader to visualize the story in great detail. I found myself alongside the characters at Oxford, and in each of the locations that she pursued the developing story of the Amazons in search of the truth. I believe this book will be of interest to readers that enjoy historical fiction, thrillers, adventures, traveling, Greek mythology and those looking to find answers to the past. I will definitely be reading another Anne Fortier book in the future. My question for you readers: What kinds of books do you like to read?